Please select options for Eibach Pro-Kit Lowering Springs (79-04 V8 Coupe; 99-04 V6 Convertible; Excluding 99-04 Cobra) at the top of this page. Improves Handling. 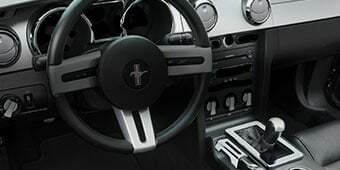 These Eibach Pro-Kit Springs will lower your Mustang's center of gravity, reducing squat during acceleration, body roll in the corners and excessive nose-dive under hard braking. A set of Eibach Springs are great for daily driving, street, and even track use. Progressive Design. 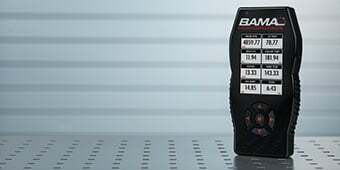 Eibach's proprietary progressive spring design provides the ultimate balance to deliver aggressive good looks and high performance handling, without ever compromising safety or ride quality. Recommended Upgrade. When installing a new set of springs you should also replace your old worn out rubber Spring Isolators with a new set of Polyurethane Spring Isolators, please the see drop down option above. Application. This set of four Eibach Pro Springs are designed for use on the 1979 to 2004 V8 Mustang Coupes and the 1999 to 2004 V6 Convertible Mustangs. Will not fit 1999 to 2004 SVT Cobras with Independent Rear Suspension (IRS). Spring Rate: Front: 456-570 lb/in. Hi, I've got an 02 V6 Coupe. 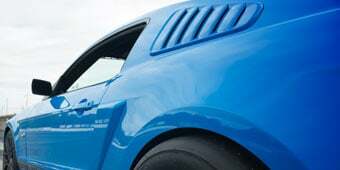 You recommended to someone else, https://www.americanmuscle.com/eibach-pro-kit-spring-set-79-04-coupe.html .... 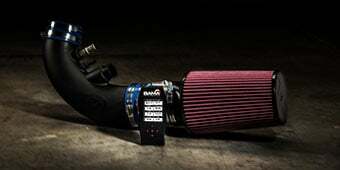 The Eibach Kit for 4cyl and V6. You've apparently Dropped that Product... Any other suggestions. We are currently showing the item in the link in stock and available for purchase. If you need assistance placing the order or have any other questions about this item or any other item, please give our customer service representatives a call at 1-877-887-1105. 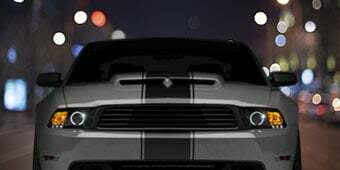 American Muscle hours of operation are from 8:30 am until 11 pm Eastern time, 7 days a week. Would you need to replace the stock shocks/struts with this kit? The Eibach Pro-Kit Lowering Springs will not require new shocks and struts in order for installation but will be a very considerable upgrade. 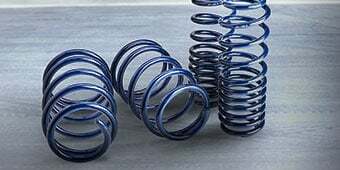 Your original shocks and struts are not manufactures to handle the additional pressure of these lowering springs and will wear over time so upgrading sooner than later will be best. You can put the Eibach Pro-Kit Lowering Springs with long tube headers without the issue of them bottoming out. Hey Randy, You will still be able to use the stock shocks and struts with out a problem! Unfortunately we cannot confirm that these springs will fit on a Ford Ranger as these have only been tested on Ford Mustangs. The Eibach Pro-Kit Springs are designed for the convertible V6's and V8 coupes only. 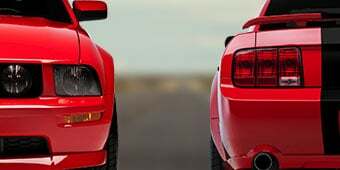 You will most likely run into rubbing issues with 20" rims and the Eibach Pro-Kit Springs (79-04 V8 Coupe; 99-04 V6 Convertible; Excludes 99-04 Cobra). 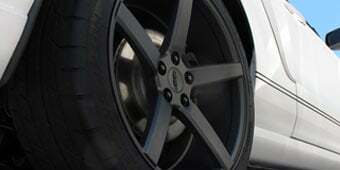 The biggest wheel that we recommend putting on the 1999 to 2004 body style is an 18" wheel. No. Springs will not increase your gas mileage. I have not noticed an increase in gas mileage nor have I seen that advertised. I guess theoretically it is possible. If it does, you will not be able to notice at the pump. That is one of the most popular combinations - 315/35-17 and lowering springs. You won't have any rubbing or clearance using that wheel/tire combo and these Pro-Kit Springs. 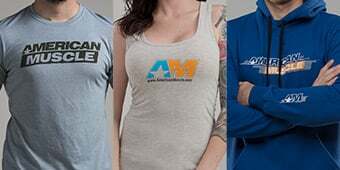 Check out the customer images for some examples - they look awesome! I have 315s out back with these and it's fine!!! If you have an '03 V6 Convertible, this is the right kit for you. However, if you have an '03 V6 Coupe, you'd need this kit instead: http://www.americanmuscle.com/eibach-pro-springs-79-04-v6.html. You will want to purchase the CC plates to correct your alignment. General rule of thumb, any drop over 1" requires the CC plates to adjust the suspension to the proper toe and camber. Doing so ensures full life of your suspension parts and will prevent uneven and excessive tire wear. I'd also suggest purchasing new polyurethane front and rear spring isolators. They won't crack or dry out like the stock rubber does and they provide a cushion for a quieter ride. You certainly can use your stock shocks and struts without any problems. However, it's recommended to replace them to get the best handling and ride comfort you can while lowering your car. If you'd like some pointers on exactly what parts you want to get with your springs, please give us a call! We can answer any questions you may have and make sure you have the set up you are looking for! Really love the look of my car now and these springs dropped it a good amount. 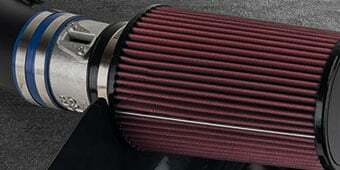 Paired with Eibach pro dampener kit. Only lowered the car a 1/2 inch, not worth the work involved or the money. Should have bought Ford Performance B springs. They ride great! Perfect for crusing around! And they help stop the excesive body roll of the stock springs. Hopefully they perform at the track. Made a huge difference in evening out my ride quality and put the car at a perfect height. Highly recommended! I installed these and the koni strt shock and strut kit. I was nervous that ride quality would plummet and I would hate my car. My car previously had the Bullitt suspension but with 160k miles, it needed replacing. The install took me about 8 hrs to laugh, curse, and toss a couple wrenches, as i had no impact gun or second set of hands. My patience paid off big time with this set up, it's more firm, like a sports car should be. The first impression was "what car is this?". The boat feeling is gone, the look is great. After driving around 30 mins, I headed back home through a 25 mph country twisty road. I thought I was alone, but someone in a blacked out Mercedes got right on my rearview. Unsure of what the outcome would be, I downshifted into 2nd just before the first turn. Mid corner, I left with authority, cautious of the gravel on the road. By the time I entered the next turn, the Mercedes was trying to catch up. I grinned so hard that it hurt. After we were back on a straight road, I just cruised, the suspension took all I threw at it. No tire chirp or body roll. The Mercedes driver was mad as he drove by and he sped off. Buy this kit only if you don't mind a permanent grin. Had my mechanic put these inn took him a couple of hours, but I just love the after look. Ride is firm but still smooth. Great job AM! Great combination of looks, ride, and handling. Ride and handling are better than stock. The amount of drop is just right..
Actually improved ride and handling way more than expected....dropped the car by about 1" which was good enough for me. I purchased front and rear isolators as well and so far so good. Very happy with the overall package and performance without spending a fortune. Wish I had done it long time ago.....Definitely recommend!!!! Installation was straightforward and with the new springs the mustang looks like it should! Personally these were what I was looking for. Not a dramatic drop but a nice look for the car. I noticed no difference in the ride compared to stock. The install seems daunting but its really not hard, I recommend researching the install thoroughly before tearing into it. I left my front isolators out and only the bottom isolator in the rear in and I love the look. These springs are the ONLY way to go! Improved cornering and launch. And an awesome look! After install the springs take about 8 hours to settle in and gives the car an aggressive stance. Also, very easy install! My 04 ride height is about an inch lower after settling. I notice it, but nobody else can. I didn't want the stiff suspension feel so I went with this pro kit. The car rides like stock due to the progressive spring rates. Also, when installing the rear, they don't tell you that your LCA won't line up with the axle so you have to jack up the front of the diff to align it. Got these to replace a broken front spring. Fronts are a challenge for one person to install without spring compressor. Lowered ride height is perfect. Suspension feels same or slightly stiffer. I paired these with Koni STR.T shocks. I bought these to lower my '91 GT and make it handle better. Installed them with a set of KYB AGX front shocks. Both of these goals were mostly achieved, however, hard bumps, heavy braking, and any turning while moving faster than 15 mph causes tire rub in the front of the car on the top of the arch of the metal fender on both sides. Harder bumps also cause rubbing on the rear fenders. I am running (Front: 245/45 R17x8, Rear: 275/40 R17x9) with 1/2 inch spacers in the rear (to prevent the wheels from rubbing on the rear axle dampers). I put a set of twist in spring stiffeners in the rear and now that doesn't rub but I haven't figured out a solution to the front yet. Different wheels and rolling my fenders are out of the question so I may have to go back to stock springs. So in summary, love the springs but be aware of your wheel tire combo with relation to the amount of lowering. I had a cheaper set on and the front was too low rear was too high. These were perfect front and back even. Very happy.